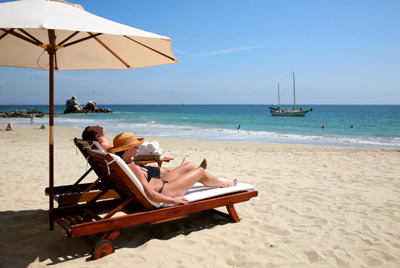 Spring vacation in Mexico is a long-awaited time to enjoy a break from the rhythm of everyday life. If your goal is relaxation, rest and a little peace and quiet, you'll find excellent choices for a relaxing spring vacation in Puerto Vallarta. The humpback whale travels thousands of miles every year from Alaska to the warm waters of the Pacific Ocean. 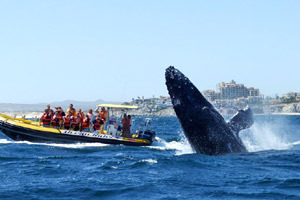 From December through early April, you can enjoy whale watching in Puerto Vallarta, an extraordinary natural sight that includes hundreds of whales and their young. If you're into photography, a Whale Watching Photo Safari tour is available. More adventurous travelers can discover Islas Marietas, one of the best spots for whale watching, just one hour from the main hotels in Puerto Vallarta. 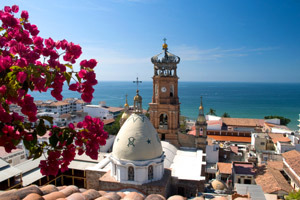 Puerto Vallarta is immersed in stunning natural scenery, featuring a landscape overflowing with rivers, waterfalls, mountains and beaches. Places like Las Caletas allow you to disconnect from the modern world to hear the language of creation, find peace and enjoy nature. Lying on the beach, relaxing in a hammock or indulging in a soothing massage are enough for the perfect vacation. At the foot of Vallarta's mountains, you can also find charming destinations like Yelapa and Majahuitas, picturesque fishing villages filled with virgin beaches that can only be reached by sea. 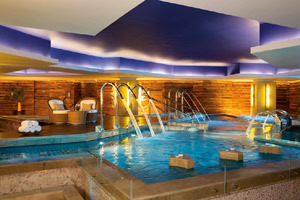 One of the most luxurious ways to relax is at the Vallarta spa hotels. Enjoy a massage in an oceanfront cabana, listen to the sound of the waves, sense the fragrances of aromatherapy and rejuvenate yourself with a body treatment or facial. An experience at a Puerto Vallarta spa will always be the perfect way to relax and restore your energy. Visit the malecon (Spanish for "boardwalk") to admire its sculptures, enjoy a shopping and city tour, explore the Romantic Zone and chat at one of the cafes, are experiences you can't miss during a Puerto Vallarta vacation. The Temple of Our Lady of Guadalupe awaits you with its famous dome to participate in springtime religious celebrations like Easter. Take advantage of your next vacation to escape your day-to-day activities, rest, reflect and recharge your energy.